This high quality mint sauce contains no artificial colours, flavours or preservatives. 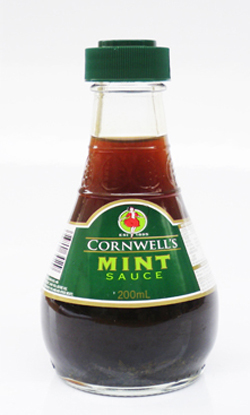 Cornwell’s has been established for over 115 years and has been a household name in Australia. Water, Malt Vinegar (contains Barley, Wheat), Cane Sugar, Mint Leaves (2.5%), Flavour, Coulour (E111), Vegetable Gum (Xanthan).